In the building of the former Labriadeios Housekeeping School, and current building of PALASE, is performed and hosted the Post-Graduate School from 2011, which deals with the history, the society and the labor culture. Particular attention is paid to the exploration of the changes occurring in the nature of work in modern society, changes that enhance social inequality. Responsible for the organization and operation of the spring school are the Laboratory of Folklore Department of History - Archaeology, University of Ioannina (Constantina Bada) in collaboration with the Centre of Social Morphology and Social Policy (KE.K.MO.KOP.) 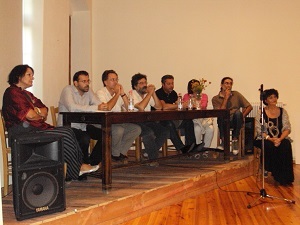 Department of Social Policy, Panteion University and the participation of other Universities and Research Agencies (Greek Folklore Research Centre, Democritus University of Thrace, University of Peloponnese). Theoretical teaching is accompanied by direct research (quantitative, qualitative, bibliographic, archival etc), which brings together students after the selection of the thematic of interest. 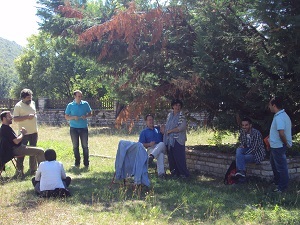 School homepage: http://users.uoi.gr/gramisar/kosmosergasias/autumnschool_anopedinon/. 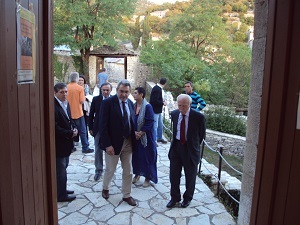 During the this MSc school and in collaboration with the Municipality of Zagori, the Cultural Association of the village and Labriadeios Housekeeping School are organized seminars, open classes and lectures, film screenings and discussions on culture issues, education, Culture and opportunities for development, protection of the environment etc.